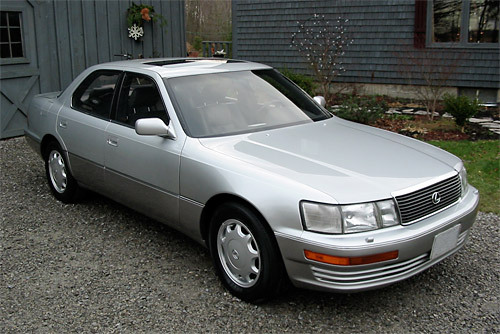 It all started with the LS400. I remember the first time I noticed one, admittedly mistaking it for a Mercedes, only to see that silver L and think I’d seen something rare, like a Ferrari or a Lamborgini. Of course, that wasn’t the case, but the truth impressed me even more, a Japanese Luxury brand, created by Toyota. I was and remain enamored with Japanese culture, and to me it seemed like the perfect vehicle. I knew what my first car purchase was going to be. Of course, buying the car was just the beginning. I started spending more and more time on the Lexus forums researching and reading up on every conceivable topic, following every single shred of news. It wasn’t too long before my car and Lexus became an obsession. This website is a result of that obsession. Welcome to The Passionate Pursuit, dedicated to bringing you all the most up-to-date and interesting news on all things Lexus. My name is Kevin RE Watts and I can be contacted here.